The Freight branch is responsible for running of goods trains for the Goods offered for carriage to destinations on Indian Railways as well as Pakistan and Bangladesh Railways. 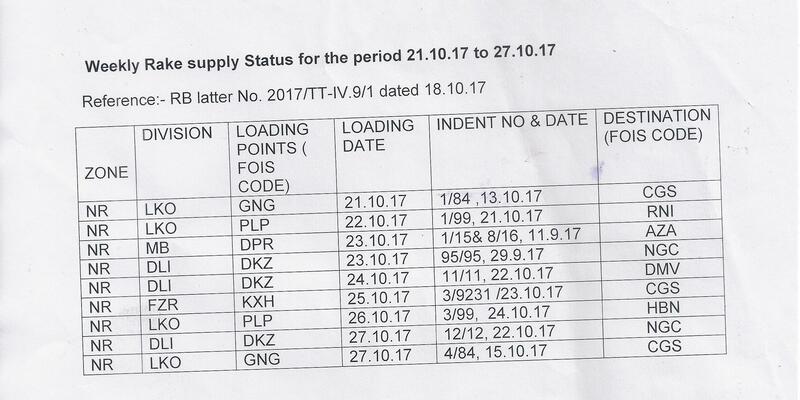 FOIS (Freight Operation Information System) has been implemented for Computerized monitoring and maintenance of records. Rates Branch System - Find the shortest distance between the stations for Coaching and Goods traffic.